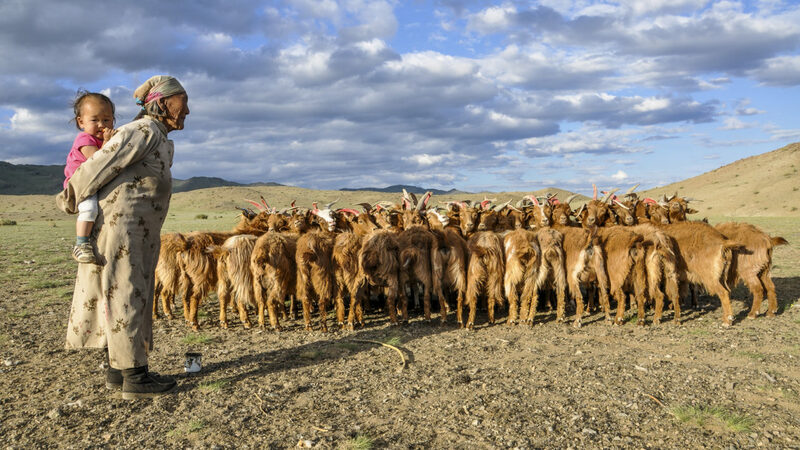 Goats getting ready for milking in the Khovd Province of Mongolia. Photo credit: © The Nature Conservancy (Eddie Game). 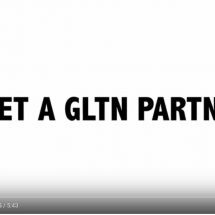 This blog builds upon Harold Liversage’s presentation during the 7th GLTN Partners Meeting, which took place in Nairobi, Kenya from 23-27 April, 2017. Harold Liversage is currently the Chair of the Global Donor Working Group on Land. This artcile was originally published here. The growing interest in tenure has also been accompanied by an increased demand for tenure-related data and more results-based decision making for investments in land and natural resource governance. In this regard, recent global initiatives offer new and promising opportunities for the promotion of tenure security as a tool for poverty eradication. A first, important initiative concerns the integration of tenure-related indicators into the Sustainable Development Goals (SDGs). 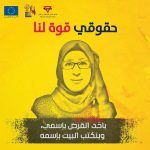 More specifically, the indicator 1.4.2 on secure tenure rights in Goal 1 and the women’s land rights indicators 5.a.1 and 5.a.2 in Goal 5 (see also blog(link is external) on this topic). With the reclassification from Tier III to Tier II in the fall of 2017, the tenure indicators have been formally included in the SDG monitoring process. As described earlier this year on this platform by Chris Penrose-Buckley, the current challenge is to get the tenure indicators to Tier I, leading to the systematic collection of data and evaluation of performance. This involves collecting information on the tenure indicators for at least 50% of the population in at least 50% of countries globally by 2020. The Friends of the custodians, as well as the Global Donor Working Group on Land (GDWGL) are mobilizing to reach this goal. 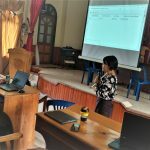 While achieving Tier I status for the tenure indicators would go a long way in measuring tenure security, being able to measure the impact of tenure security measures has become another priority for tenure researchers and practitioners. 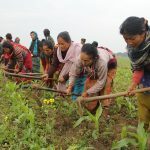 A partnership between the International Fund for Agricultural Development and the Global Land Tool Network, with the support from GDWGL, WB, MCC and Landesa, has recently led to the drafting of the “Guidelines for Impact Evaluation of Land Tenure and Governance Interventions”(link is external). 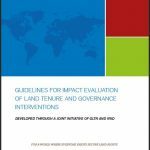 The purpose of the Guidelines is to inform the design of tenure impact evaluations and to foster the collection of better, more reliable data on what works – and what does not work- when it comes to interventions aimed at strengthening tenure security and equitable access to land. From a long-term perspective, by improving tenure impact evaluation, the guidelines will support the design and implementation of better tenure-related interventions, contributing to lasting tenure security impacts. The guidelines focus on impact evaluation instead of monitoring. While monitoring provides snapshots through time and shows data trends, impact evaluation for tenure security is crucial to understand how different tenure environments affect the outcomes captured by the data that is collected, investigating whether the expected tenure outcomes are realized. A theory of change developed for the Guidelines, illustrates the web of causal links between events which can be expected to be triggered by a specific tenure intervention. The causal links were identified through a systematic review of the literature, both empirical and theoretical, and systematized in a comprehensive model. Addressed to both tenure experts and evaluators, the Guidelines offer a platform facilitating information access for both types of expertise. 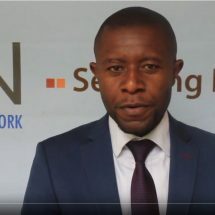 The Guidelines were presented at the Land and Poverty Conference of the World Bank in March 2018 and we are now entering the next phase of the project. 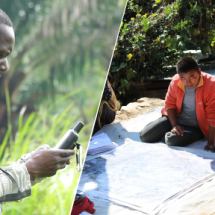 Building evidence on land measures and sharing it among relevant stakeholders is a first set of activities that will support breaching the gap of current evidence, while learning from different land impact evaluation frameworks. 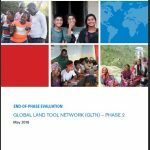 Such efforts could potentially be coordinated through a ‘land evaluation group’, bringing together evaluators and the land community, allowing for a regular and structured flow of information on land impact evaluations. 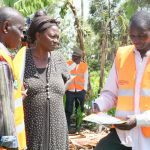 The group could support the coordination at country level on land evaluations, especially in terms of maintaining control areas and sharing questionnaires. 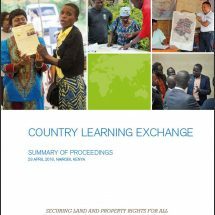 Building a community around land impact evaluations will improve the dissemination of best practices, support capacity building, contribute to an improved allocation of resources and ultimately drive the SDG framework at large.